After a rest our Shanghai journey began. 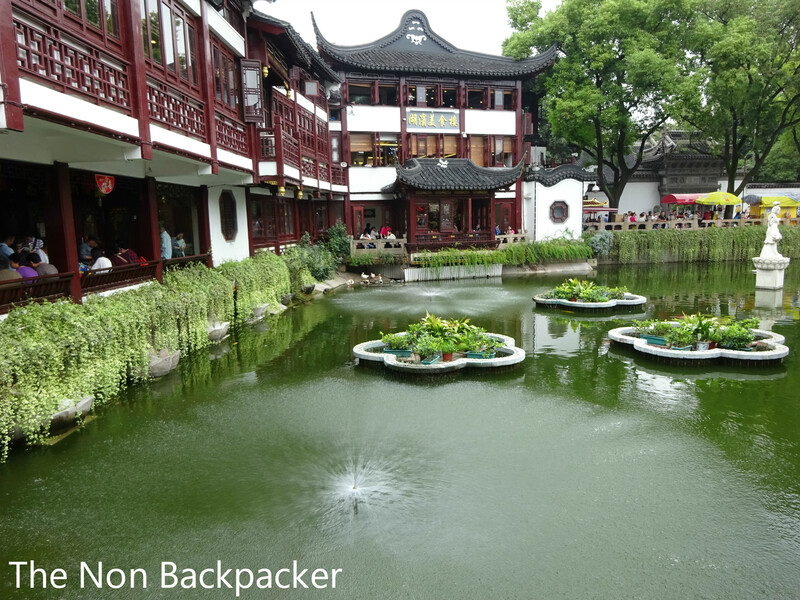 Our hotel was located close to the Yuyuan Gardens so we wandered down through some interesting shopping streets and into the Yuyuan Gardens area. It’s a warren of streets with restaurants and shops, a little on the touristy side but interesting nonetheless. 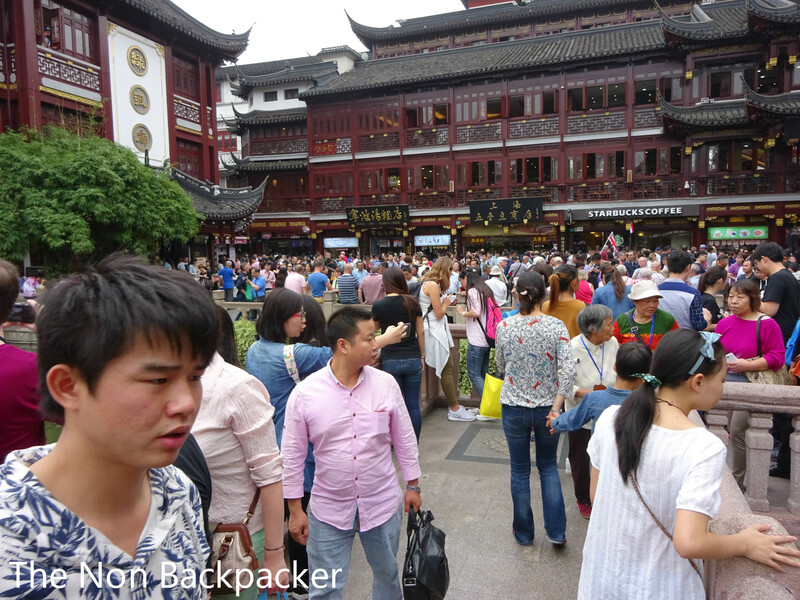 We walked around absorbing the atmosphere, its was packed and I mean PACKED with tourists. We fought our way across the stone bridge across the lake/pond thing taking in the sights as we went. 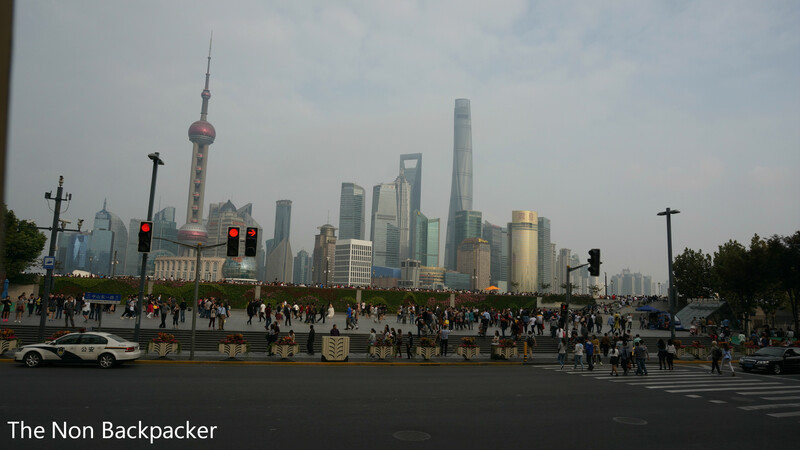 It was interesting to see the traditional Chinese buildings in the forefront and the new sky line filled with skyscrapers. 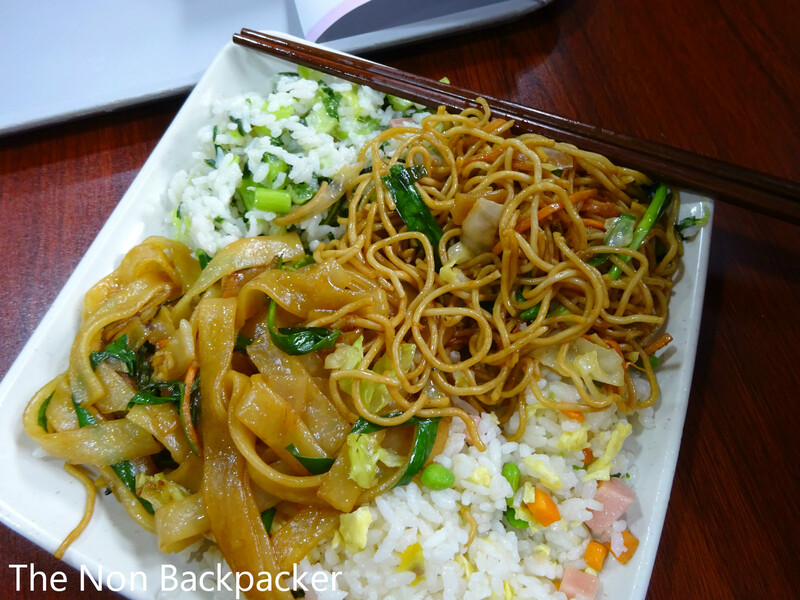 We stopped for a spot of lunch and our first Chinese meal in China! It was in a canteen style “fast” food place where you grabbed a tray and walked down the aisle picking up whatever dishes you fancied. 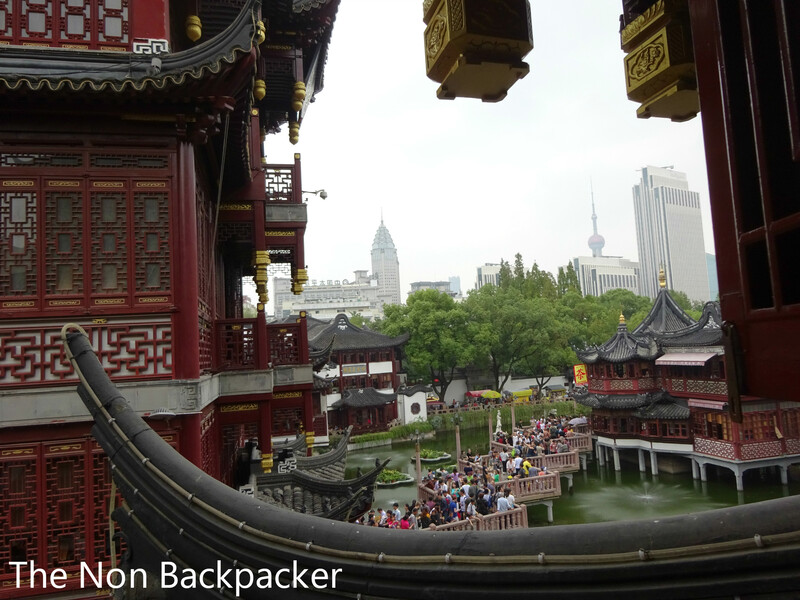 It was good food (not that we ate much due to the jet lag) and gave us a good view over towards the Yuyuan Garden. 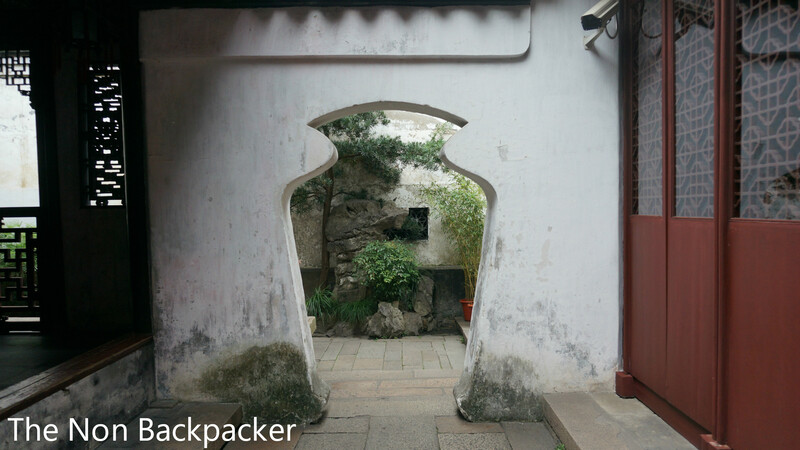 After lunch we paid the entrance fee and stepped through a doorway into a much calmer atmosphere. 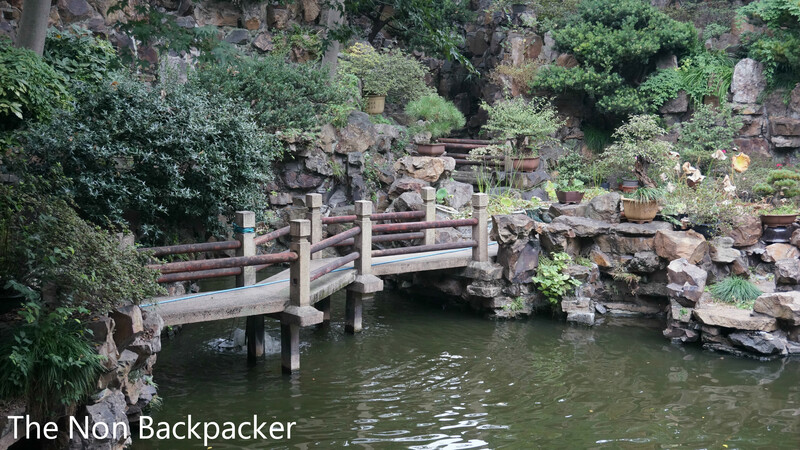 It was a beautiful garden which was huge despite the fact it was in the centre of Shanghai. 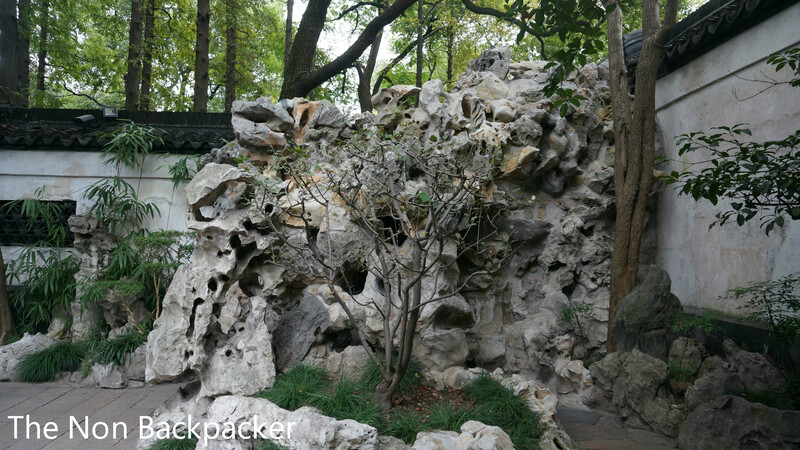 The gardens were finished in 1577 by a government officer of the Ming Dynasty. He built the gardens for his parents to give them somewhere tranquil to spend their time in their old age. 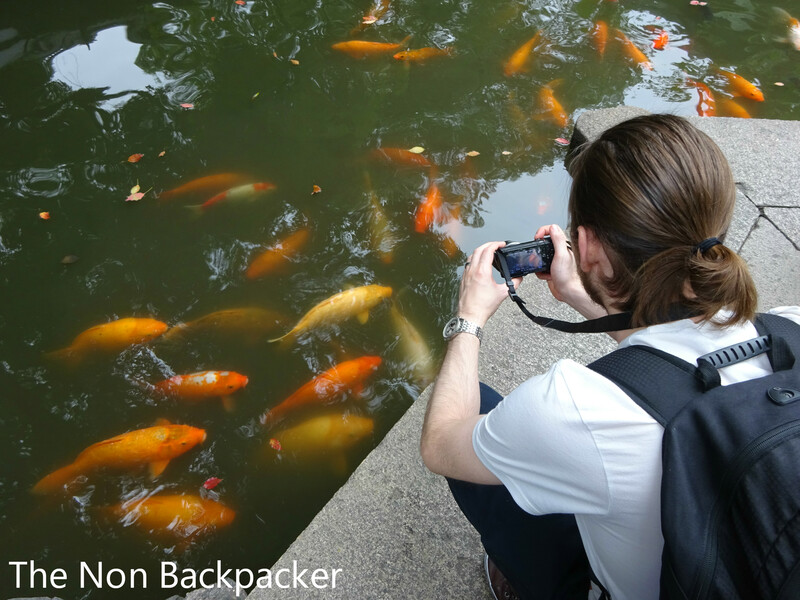 We took in the sights for an hour or so exploring all the different areas and ponds. It was a great start to our trip! We headed out to find the bus stop for a tour bus called Big Bus Tours. I had read a lot of reviews online about tour bus companies in Shanghai and this seemed like a good one. A good compromise between price and attractions. I will write a more in depth review soon so check back for that! We found them and passed over our prebooked tickets in exchange for a map and some headphones. 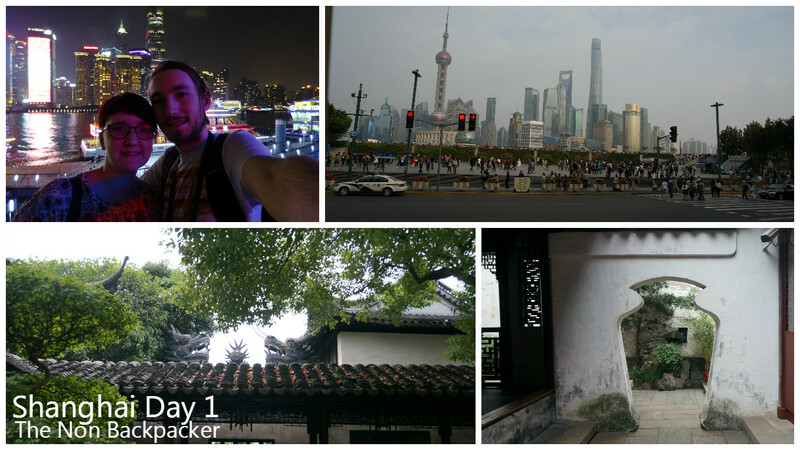 We decided to check out the route which took us around the new side of Shanghai to the Pudong area. 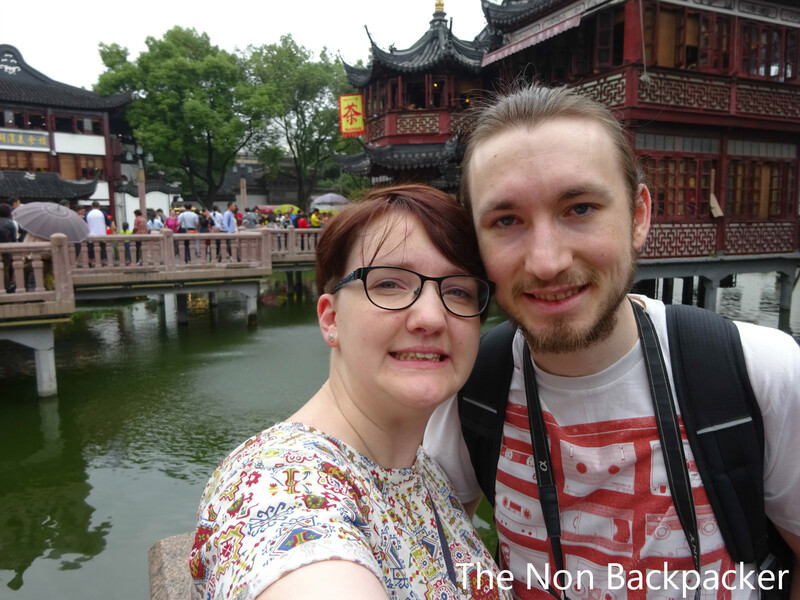 It took us round a 9 lane bridge which was pretty impressive and alongside some amazing buildings including the Shanghai TV tower. I did spend a fair bit of the bus journey nodding off to sleep – I couldn’t keep my eyes open despite saying to myself to stay awake! 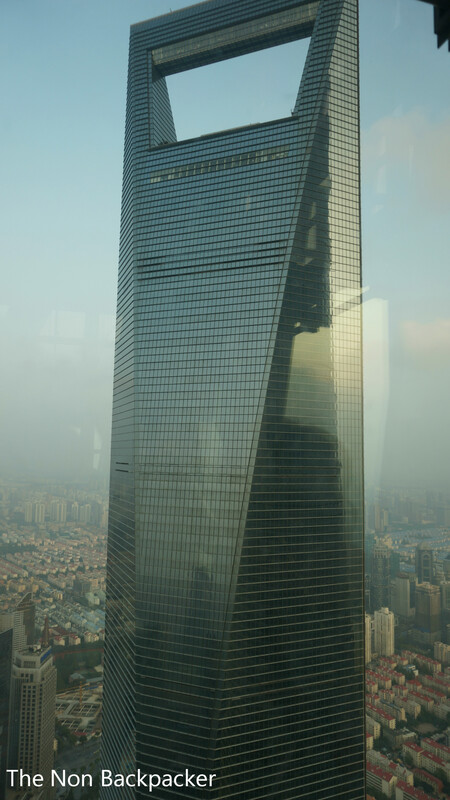 Part of the bus ticket included free entry to the Jinmao Tower, the 88 story tower which was completed in 1999 is the third tallest tower in China behind the Shanghai World Financial Centre and the Shanghai Tower. 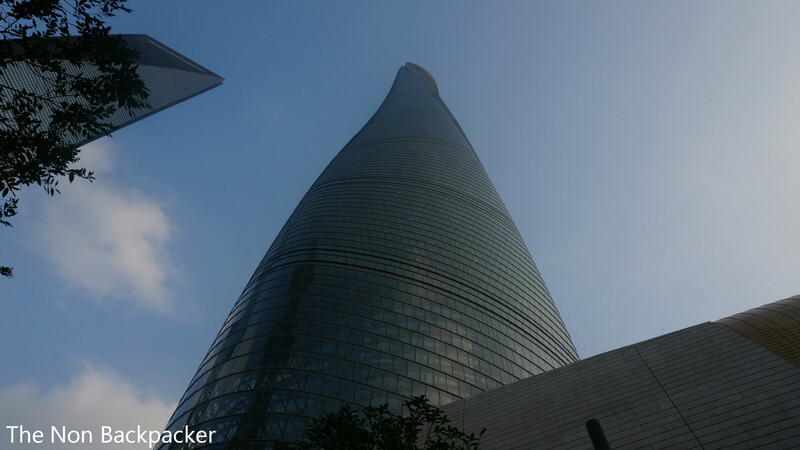 We entered the tower and headed up to the observation deck. It was from here we really first noticed the smog. The view was hindered slightly but stunning anyway. 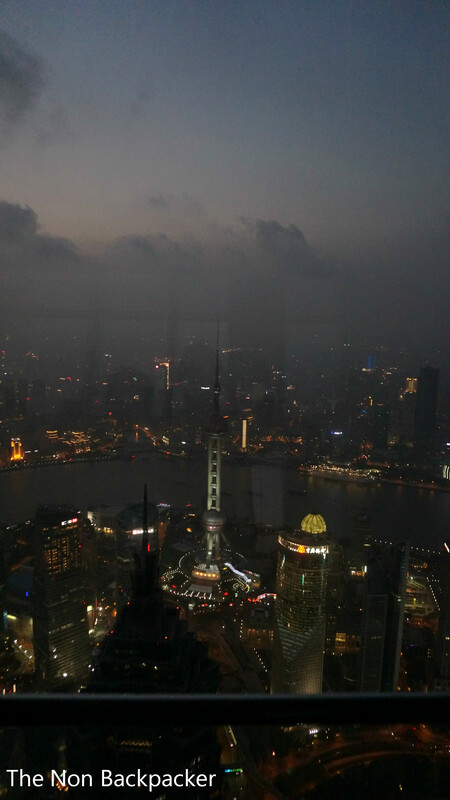 We had a good view over the Pudong area and down to the river and the bund. 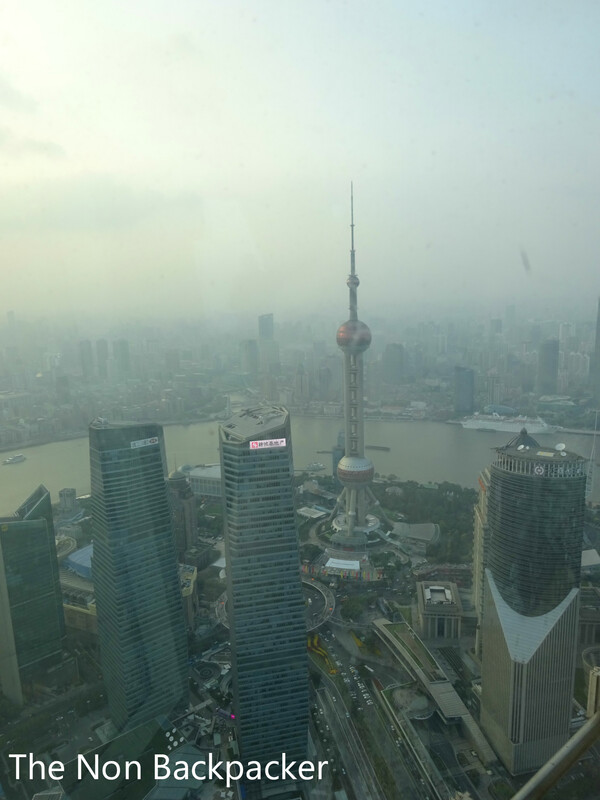 A quick stop for a coffee (to aid staying awake) and we decided to try out the observation deck in the Shanghai World Finance Centre (SWFC). The tickets here were on the expensive side but took us up to several decks. The highest one on floor 100 includes a sky-walk where part of the floor is glass giving you a view down as well as out. Not really for the faint hearted I must say. 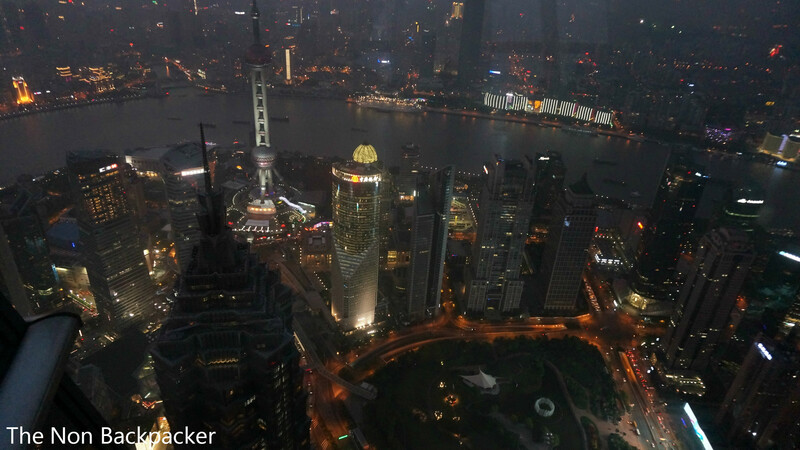 It hard got dark by the time we got there and the lights of Shanghai were being turned on so it was a great view. It would have been better if there had been less people but it’s China and there are a lot of people! 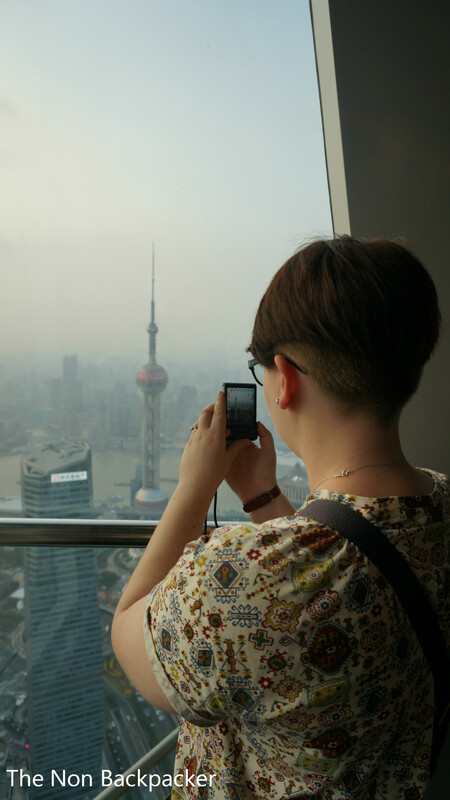 It was very cool to be able to look down onto the Jinmao Tower that we had just been in!! Our next stop was back to the hotel due to sheer exhaustion. We headed (ran for after getting lost getting out of the SWFC) for the bus which took us half way back. 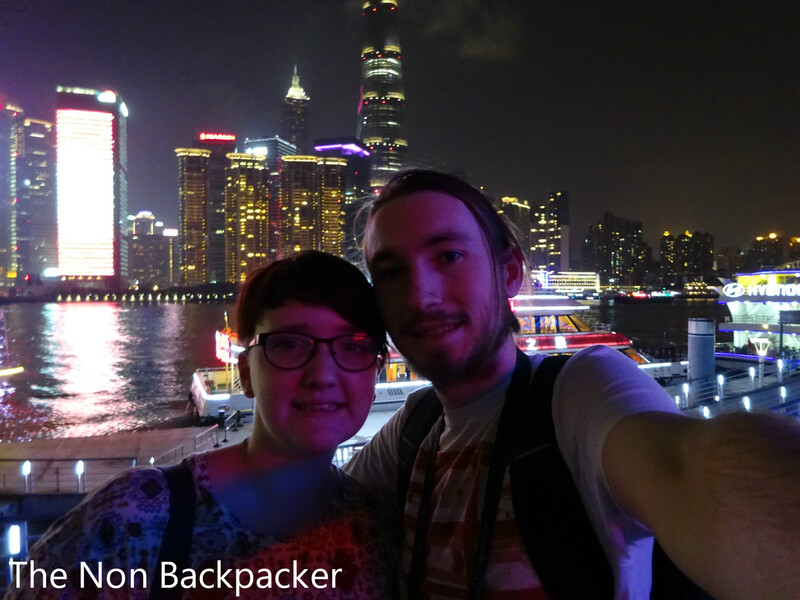 We enjoyed a walk along the Bund watching all the people taking selfies and enjoying the view. Day 1 in China done. Roll on the next one! !